Last weekend, mom, Mackenzie, and I packed our bags and headed north to Tennessee. 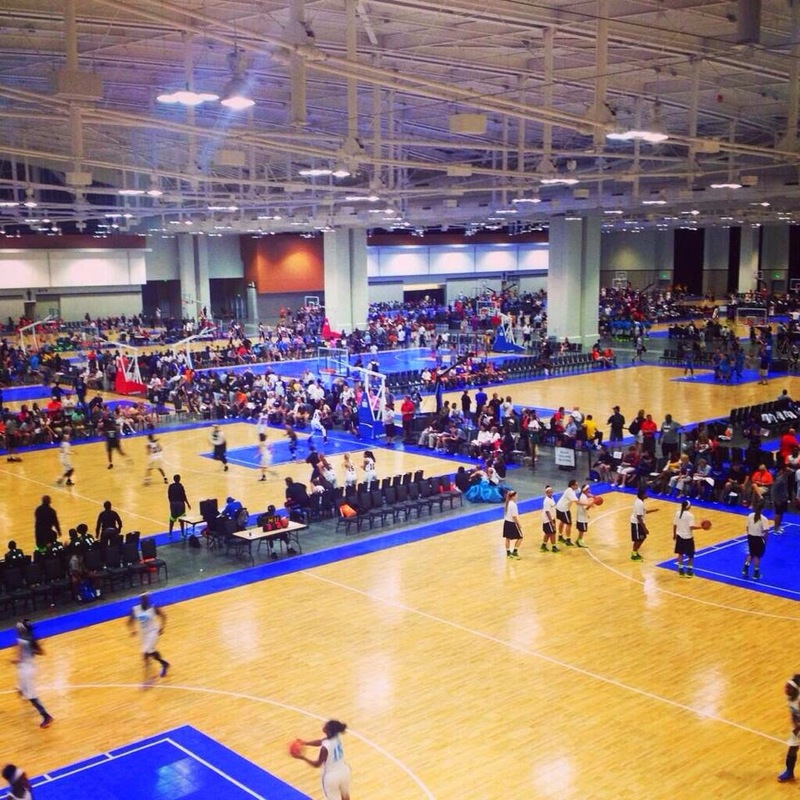 We were going to the Battle in the Boro Showcase basketball tournament in Nashville, TN. We hit the road Wednesday afternoon because we had to do tournament check in that evening. The ride was fairly uneventful, with the small exception of our search for a QT in North Georgia. Note-they get very few and far between once you pass Acworth (just in case you are also a gas station snob). Upon arrival, we checked in at this huge hotel with literally thousands of other girls. It was a madhouse. I sent my dad a text that simply said, "We aren't in Kansas anymore!" Some of these girls were like NBA sized, I swear! Mackenzie's team was filled with cutely dressed 9th grade girls...and well, we felt a little out of place in the land of cut off t-shirts, sports bras, and Nike slides--even at check in. The next morning, we arrived at the arena. I have never seen so many basketball games going at once! There were 30 games at a time in the one building....however, I must take a moment and say-it was the cleanest, quietest, and easiest basketball tournament to navigate! There were nice restrooms, the dull roar was there, but not insanely loud, and you could maneuver from game to game without ever leaving the building. We were also steps away from downtown Nashville, which we visited on one of our breaks. After getting our drinks in these to-go boots, I almost got us arrested by intentionally littering (my straw) directly in front of an undercover policeman! Mackenzie had been judgmental about the fact that I was wearing wedges with my shorts...but I told her that was my saving grace from a littering ticket!!! I had to be the bookkeeper for our basketball team. It was fun, though! We watched Mack's team play 8 games and come in third. All in all, I think we watched 25-30 basketball games Thursday-Sunday! It was crazy...and a good thing we love the sport! And, Mackenzie and I were good for one funny adventure each. Mack left her shoes in a parking spot when changing from uniform to street clothes. Upon arriving at Starbucks 5 miles down the road (with no shoes), she exclaimed, "OH! I left my shoes there." So, we turned around...went back...and there they were, saving our parking spot :) I caught her in the act of putting her shoes back on in the very spot she left them. All in all, we had such a great time and I was so grateful that we got to go to this crazy tournament together!